Bodybuilders make terrific trainers because they run the gamut of training procedures. See what separates Kent from the fitness pack! Location: Turbo Training Fitness Center. Denver, CO. Personal trainers incorporate physical activity, nutrition and the mental aspects of exercise that inevitably come into play. The best of the best strike balances between the multiple factors leading to quality health. 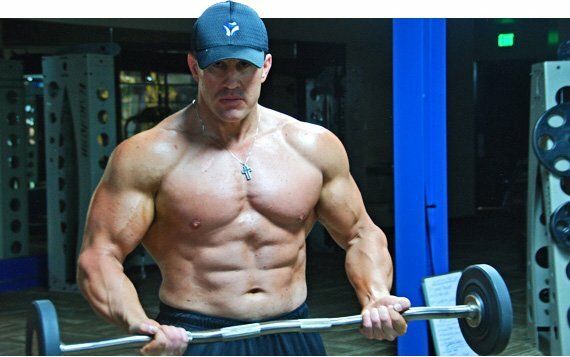 Kent Paul knows sports, bodybuilding, nutrition and other tenets of kinesiology, so when his clients come to him, he is stacked with answers and advice. 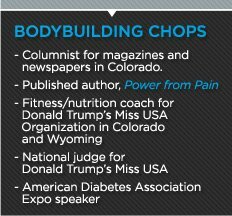 This former Mr. Colorado is now the August Bodybuilding.com Personal Trainer of the Month! Could you tell us a little about your background - personally and professionally? I was born and raised in Denver, Colo. I played football and baseball through high school. I took a baseball scholarship to the University of Northern Colorado and received a degree in Kinesiology and in Nutrition. I became a competitive bodybuilder at age 20 and became Mr. Colorado at age 26. I have been running my own personal business since 1994. I broke my neck in a car accident in 2005 that changed my life and thrust me toward helping others in a deeper way. It took me three years to rehab my body and soul. When and why did you become a trainer? 1994. I have a soul passion to help people transform their lives to result in happiness and wholeness. What is your training style? What methods do you use? My style is Kinetic Focal point training with aerobic pacing and TURBO Training. Do you have examples of success stories from clients using your methods? I have 50 videos on my YouTube channel with many testimonials. Also please visit www.lose12pounds.com. Who are some of your most notable clients? Can you please you give me an example diet and training program you put together for your clients? I have a formal binder program called Personal Power Program. It covers everything from emotional fitness, mental fitness, nutrition info, physiology, custom nutrition plan with food lists, and custom weight training/cardio plan. Clients get a journal to record all activity/food and report to assigned nutrition/fitness coach 2 per month for success assessment. What are the most common mistakes a client makes? They exchange the wrong foods in a custom food plan or think coffee and soda count as hydration. What are the most common mistakes you believe a trainer makes? They lack hands-on service of proper Kinetic Positioning, or a lack of service and attentiveness. Do you set your clients up with a full diet and training plan for them to follow by themselves? Yes, with private 1-on-1 follow-up coaching from me every other week. Do you train a male client differently to a female? Yes, all programs are custom by age, gender, goals, lifestyle, injury, etc. How have your changed your approach to clients over the years of experience? I learned more about the psychology of fitness and the internal blockage and self sabotage that is common in our culture. Do you do some kind of assessment? Yes, a 10-page client assessment packet. Do you prefer to train male or female clients and why? I honestly do not have a preference. My passion is to train people who have "willingness and openness" for change and to follow my program without ego and pride. Do you feel just as much like a psychologist as you do a personal trainer? Yes, I consider myself as much a life coach as much as a personal trainer. I love every minute of it. It's my life passion for 17 years and counting!